LuHi Theatre provides a top quality, Christ centered theatre education for our students while bringing professional level theatre to the community. Fed up with the pressures and demands of her acting career, the famous Myra Marlowe leases a house in the tiny New England hamlet of Beaver Haven and settles down to write her autobiography. In an attempt to shoo nosy neighbors away, and gain some privacy, Myra invents a mad, homicidal sister—who is kept locked in an upstairs room, but who occasionally escapes long enough to scare off uninvited visitors. The uproarious doings will keep audiences laughing right up to the final curtain, and then some! For over six decades LuHi Theatre has been committed to performing high quality, professional theatre for the whole family to enjoy. Our production staff is dedicated to giving our students the best educational and performance experience possible and most importantly to keep Jesus Christ at the center of all we do. LuHi Theatre productions are performed in the state-of-the-art Pace Center theatre complex located in downtown Parker, giving our students the unique opportunity to work in a professional theatre, alongside theatre professionals. The educational value of working with these seasoned professionals is unparalleled and we very excited about this partnership. In LuHi’s deep, rich history we have performed a wide variety of shows. 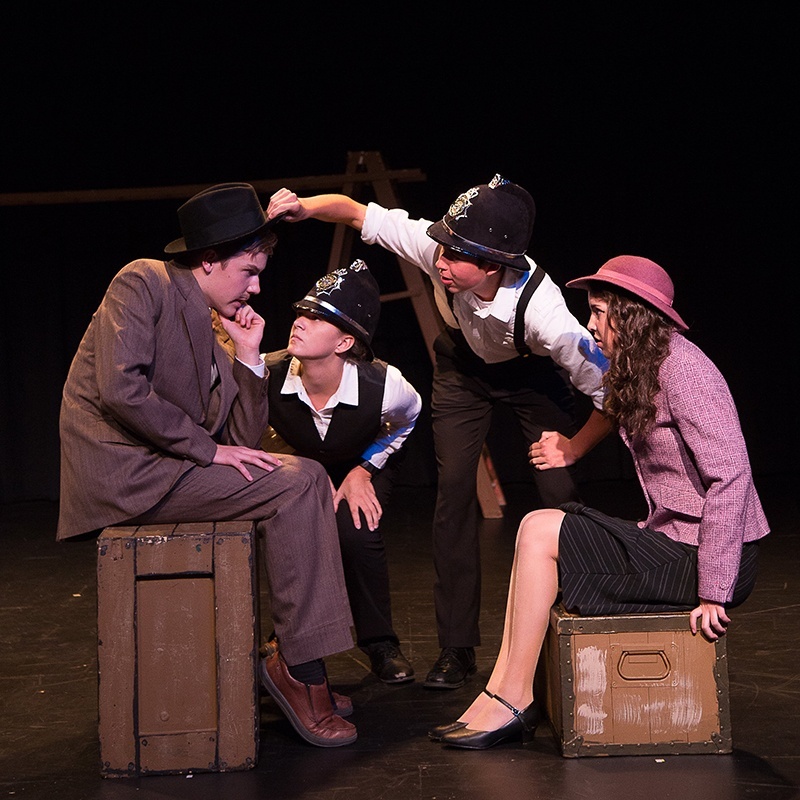 Everything from comedic to dramatic, classical to contemporary and even audience interactive shows gives our students a well-rounded theatre experience. 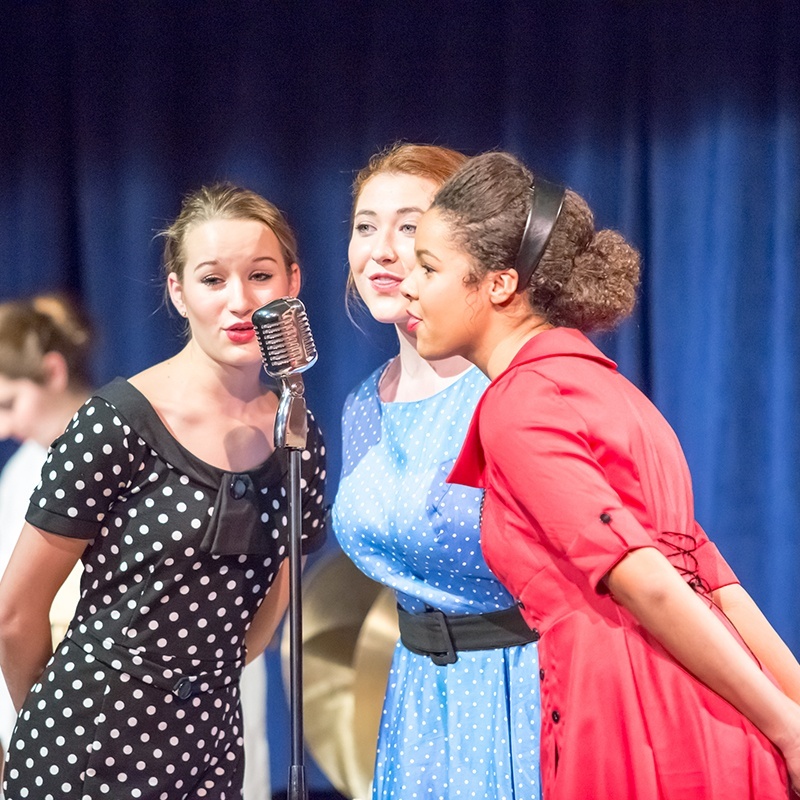 Many of our students also attend theatre conferences and compete in various competitions. This gives our students another opportunity to learn from industry professionals and gain valuable feedback on their performances. The LuHi Musical is our fastest growing theatre production with 60+ LuHi students actively involved each year. Unique opportunities abound with this production. Our acting students work with seasoned directors and choreographers to create dynamic characters, dances and vocals on the stage. 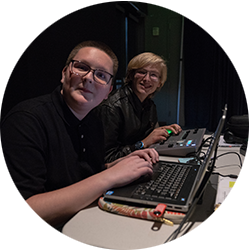 Our technical students work alongside the Pace Center staff and parent volunteers enhancing their knowledge of set construction, costume & makeup design and all aspects of how a show comes together. Band students work alongside professional instrumentalists and parent volunteers in our live orchestra. We believe in learning from the best. 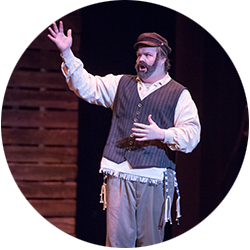 These valuable educational opportunities are not limited to LuHi students however, every few years we invite local grade school students to be a part of our musical. This provides a great community outreach and gives our high school students the opportunity to teach what they’ve learned and mentor the next generation of theatre students. This show is performed on the mainstage theatre at the Pace Center theatre complex. In addition to the musical, LuHi performs a play in both the fall and the spring. Our fall production is done dessert theatre style and usually employs a light hearted comedy or an interactive murder mystery. Our audience is treated to desserts and drinks while engaging directly with the actors and occasionally may be participants in the show! This is a great introductory play for any new students interested in trying out theatre. This show is performed in the Event Room at the Pace Center theatre complex. Our spring show is our final production of the season and usually employs a more powerful or technically strong show. 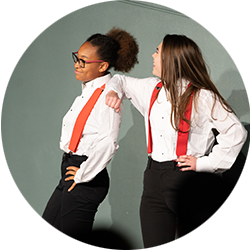 This production gives our students the opportunity to really hone their skills and stretch their abilities with deep-seeded dramas, complex comedies, ancient Greek tragedies, or classical Shakespeare. This show is performed at the Schoolhouse Theatre, part of the Pace Center theatre complex. Lutheran High School has the privilege of performing our productions at the state-of-the-art Pace Center allowing our students to get real world theatre experience alongside professionals. The Pace Center boasts a 500 seat Mainstage theatre, a 200 seat blackbox theatre (The Schoolhouse) and a very versatile Event Room. LuHi is a proud member of the International Thespian Society (ITS). ITS is the world’s largest honor society for theatre students. The LuHi theater department attends the regional ITS conference/Thescon every December in downtown Denver. This opportunity allows students to participate in a variety of workshops taught by theatre professionals and college professors (acting, dance, make-up costume design, playwriting, lighting, etc), visit with college reps, audition for scholarships and see performances by other area high schools. The Bobby G Awards recognize outstanding achievements in high school musical theatre in Colorado. 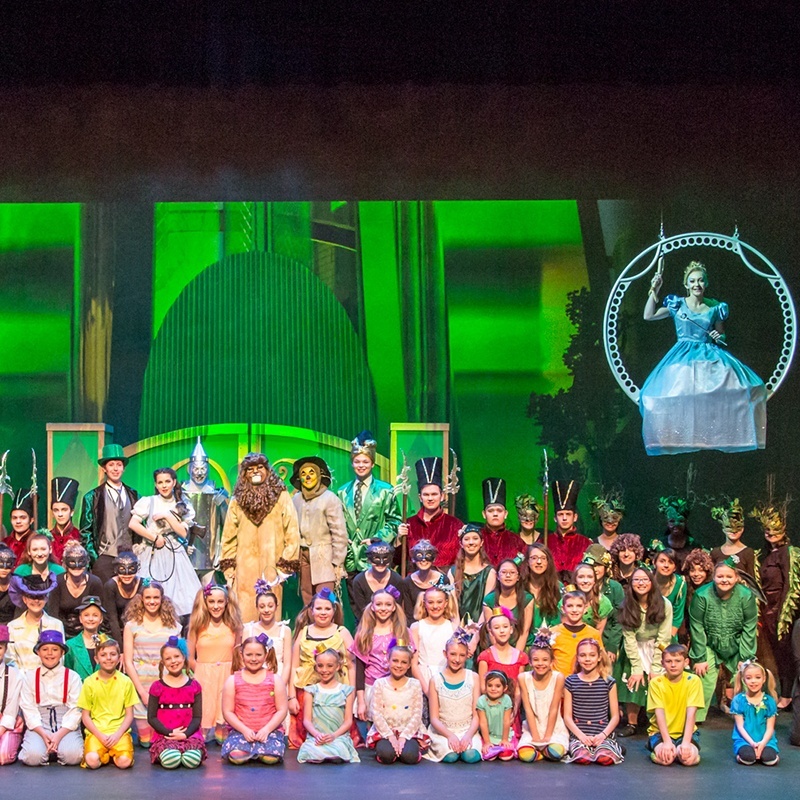 Schools apply to have their musicals adjudicated by area professionals for the opportunity for students to be nominated for and win awards in various production elements like best actor/actress, costume/makeup/set design, best overall production, etc. The best actor & actress winner move on to compete at the national Jimmy Awards in New York. LuHi’s musical is a part of this program every year. Learn more about LuHi Theater and see videos of our past performances on our Facebook page! Joining LuHi Theatre was one of the best decisions I ever made in my high school experience. Ms. Lietzau and Mr. Loesel taught me to push myself and not be afraid to try new things. I learned how to express myself and take on challenging roles. My favorite part about LuHi Theatre is Jesus is the center of it all. Praying together and sharing devotions before shows really brought everyone in the program together. 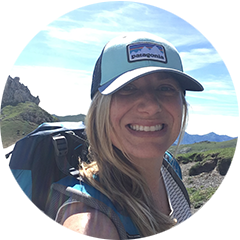 After graduating from LHS (Denver campus), Jillian continued on to Adams State College where she received a B.A. in Theatre. 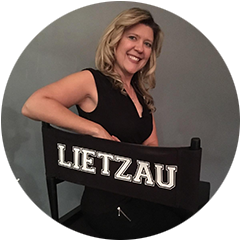 Since then she has stage managed and acted in a number of shows for community theatre including Harvey, Destry Rides Again, The Thorn and the DLHS alumni show The Complete Works of William Shakespeare (Abridged). Earlier in her career, Jillian co-owned a theatre company where she produced & directed The Odd Couple and Lend Me a Tenor. For the last eighteen years Jillian has worked with the LHS theatre department. She has directed, built sets and produced fight choreography for such shows as The King & I, Treasure Island, Romeo & Juliet, Godspell, The 39 Steps, The Wizard of Oz, Fahrenheit 451 and Fiddler on the Roof, just to name a few. Jillian has taken theatrical stage combat classes from the Denver Center Theatre Academy. She is proficient in rapier & dagger, broadsword, unarmed, sword & shield, knife, quarterstaff, single sword, knife and the sport of foil fencing. Jillian is a member of the Society of American Fight Directors. Troy is a 1990 graduate of Concordia University, Seward, Nebraska with a BS in English and Speech/Drama. He has worked for the Colorado Lutheran High School Association since 1999. He teaches Theology II and English courses, as well as coaching football. Troy was involved in theatre in high school, with work behind and on the stage. In college he continued his interest in theatre, directing One-Acts and performing on stage. Troy has directed such shows as The Curious Savage, The Man Who Came to Dinner, Almost Maine, Helium and Antigone Now. He also had the privilege to perform with the students in Guys and Dolls. Troy is married to his understanding bride of 27 years, he has two sons, Zachary (LHS ‘12) and Micah (LHS ‘15). 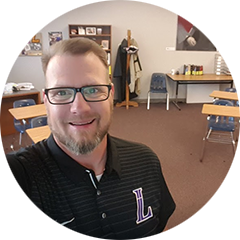 This is Megan's fourth year at Lutheran High School after teaching in Roseville, Minnesota for fourteen years. During her years in Minnesota, she served as choreographer and assistant director. Some of her favorite shows to choreograph include Beauty and the Beast and Seussical. She is thankful the Lord gave her a love for theatre and dance along with another opportunity to help students have the unique experience that only theatre can provide. Megan cannot imagine January through March without the rehearsals and camaraderie that come with musical season. In addition to theater, Megan enjoys travel, hiking, time with family, and watching her Nebraska Cornhuskers.